It seems as though Fall is the time to really crack down and bake or indulge in baked goods. Pie is amazing, it really should be it’s own food group right? Here are some fantastic pie recipes to check out, they might just entice you into making one or five of them. 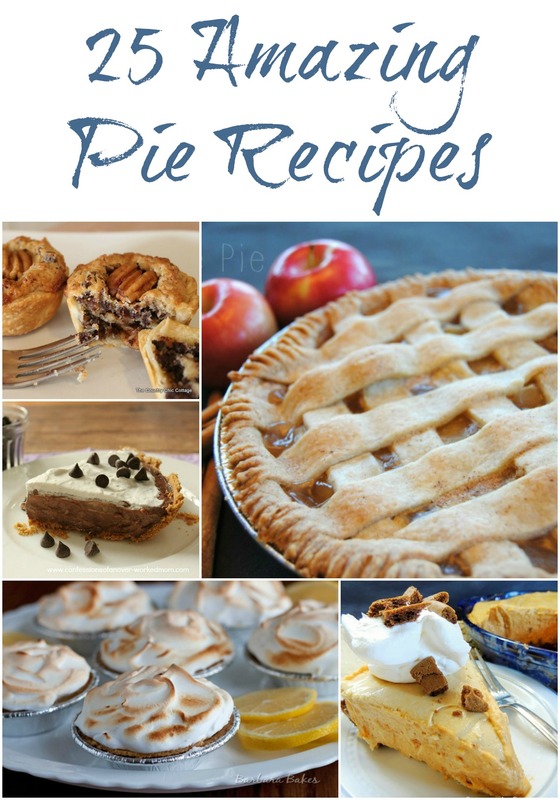 Start with these pie recipes from The Country Chic Cottage then move onto the other sites below. I hope you enjoyed browsing through the different pie recipes. Let us know in the comments which one made you drool the most! Thank you for including my Old Fashioned Apple Pie! Thank you so much for sharing my post. Off to check out the others. Sharing!